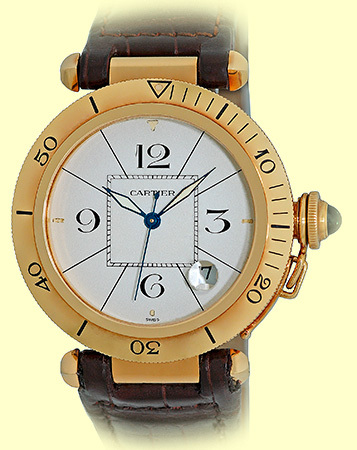 Gent's 18K Yellow Gold 38mm Cartier "Pasha Diver de Cartier" Automatic. 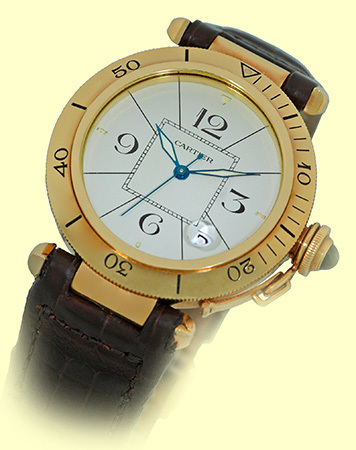 Ivory/Cream Dial with Blued Steel Luminescent Hands, Hour Markers and Black Arabic Numerals, Center Sweep Seconds Hand, Date Indicator. 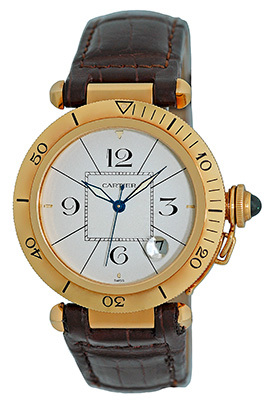 18K Yellow Gold Divers Bezel, Blue Sapphire Cabochon on Screw Down Crown Cover, Sapphire Crystal. 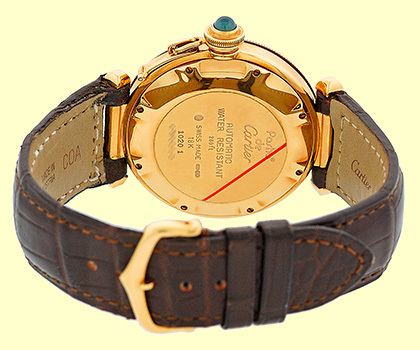 Highest Quality Cartier Brown Alligator Strap with 18K Yellow Gold Cartier Tang Buckle. 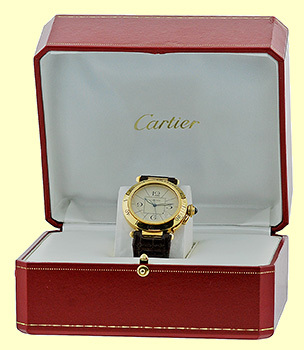 Certified Pre-Owned, Like New Condition with Cartier Box and complete with Capetown's Lifetime Warranty! !